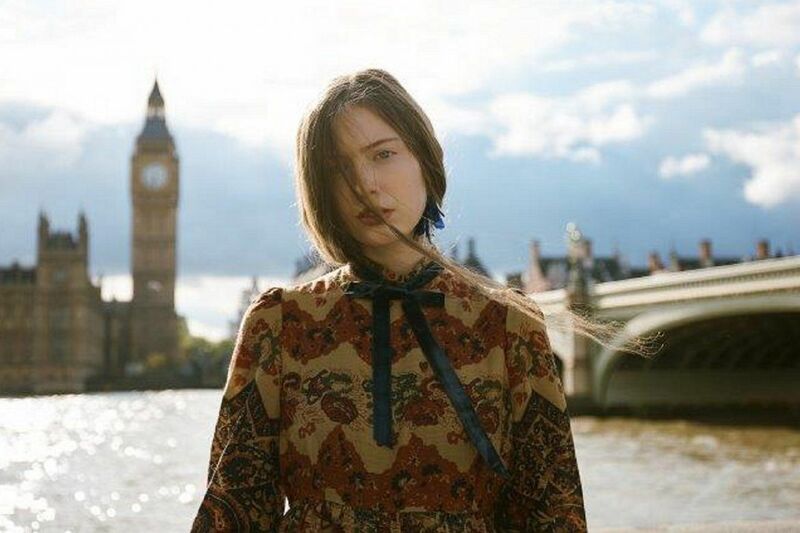 ​The famous Paisley Pattern took Paisley's name around the world. The intricate and beautiful hand-woven designs of the Kashmir shawl originated in India in the 11th century – the most popular and recognisable was the teardrop motif. As the designs made their way to western Europe in the latter half of the 18th century, they became a symbol of wealth and status among upper- class women. 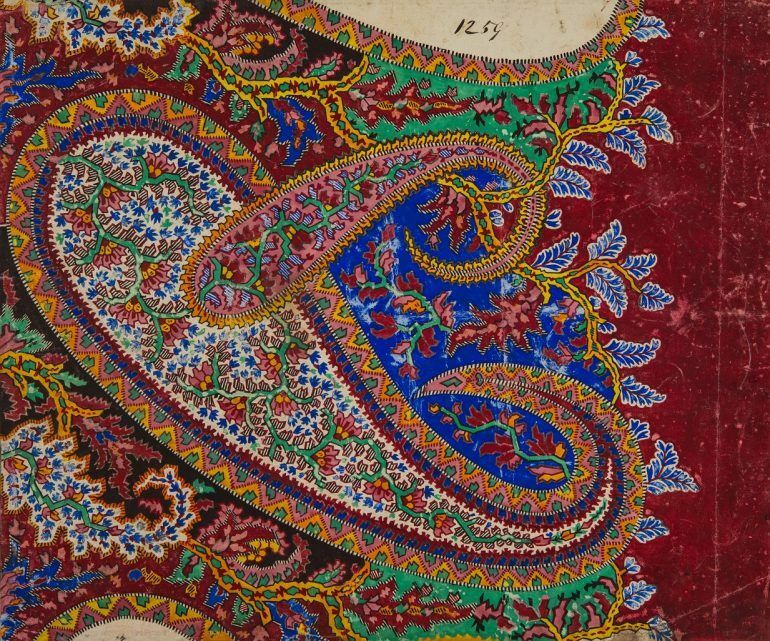 The Paisley shawl began as an attempt by European manufacturers to imitate this rare and expensive product. 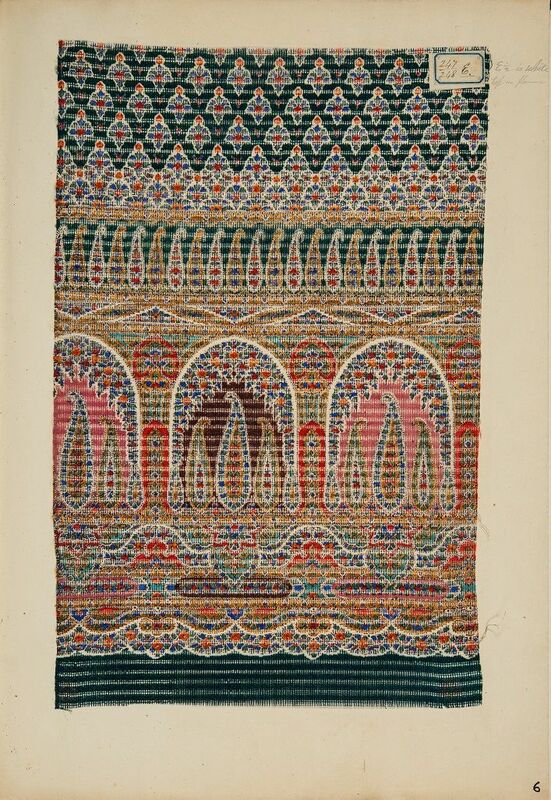 Producing the Kashmir shawl on looms required an extremely high level of skill and technology – only a small number of weaving centres in Europe were placed to meet the challenge. 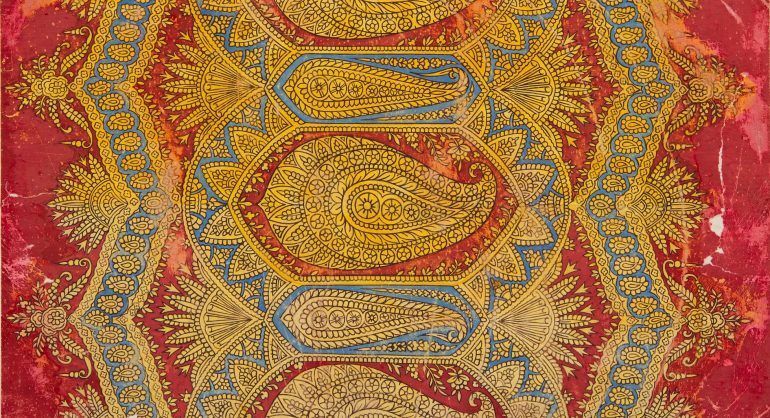 Paisley was one, and the expertise and technical skill Paisley weavers had developed while producing fine silk gauzes and figured muslins meant they were well -equipped to take on the weaving of these ‘imitation’ shawls. Up until this point, weaving had been something of a cottage industry. 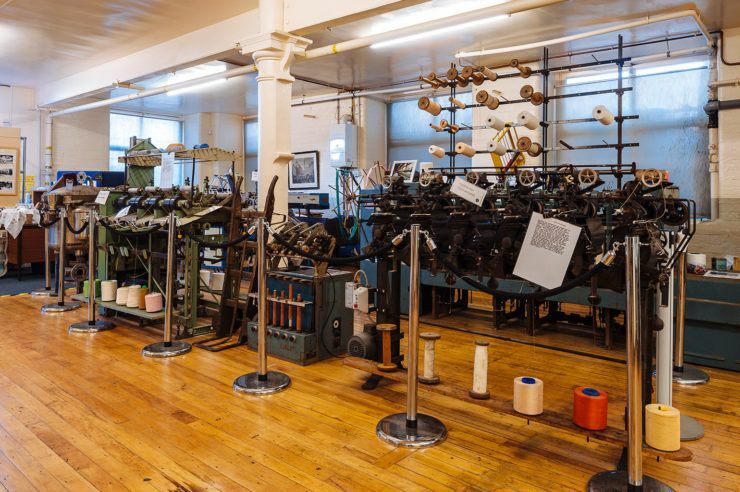 But the introduction of the jacquard loom and the innovations of the Paisley weaving industry – such as improving the hand loom process to involve five colours rather than two, and developing the idea of the sub division of labour – helped take shawl manufacturers into the factories. © Renfrewshire Council. Originals held by Paisley Museum. 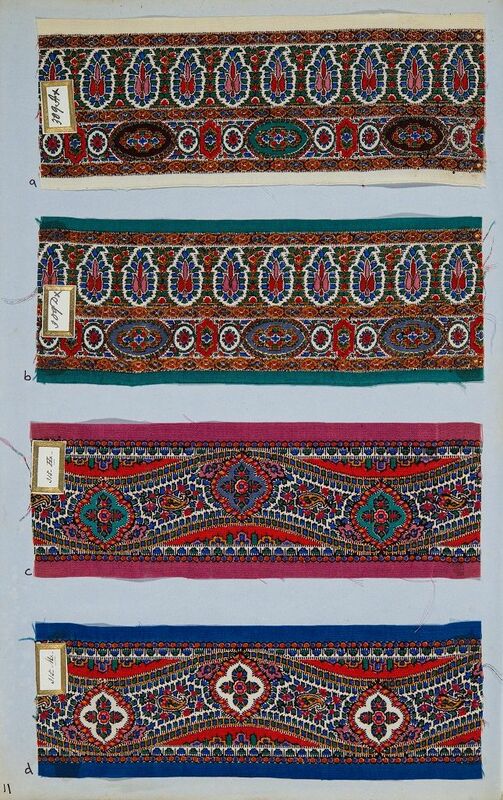 A selection of Original Designs for the Old Paisley Shawls. Sketches on paper for printed and woven shawls. Measurements – 430mm x 615mm x 78mm. Text and sketches handwritten on reverse. Text and numbers handwritten on reverse. Green conserved pattern book, 665mm x 535mm x 56mm. 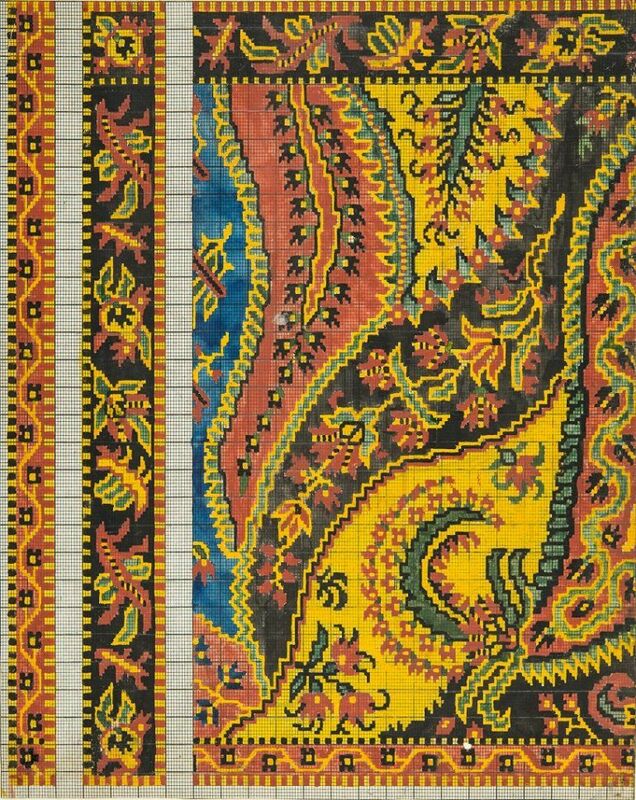 Sketches and designs on paper for printed and woven shawls. Measurements – 710mm x 595mm x 31mm. Printed samples of shawl borders. Measurements – 410mm x 275mm x 6mm. 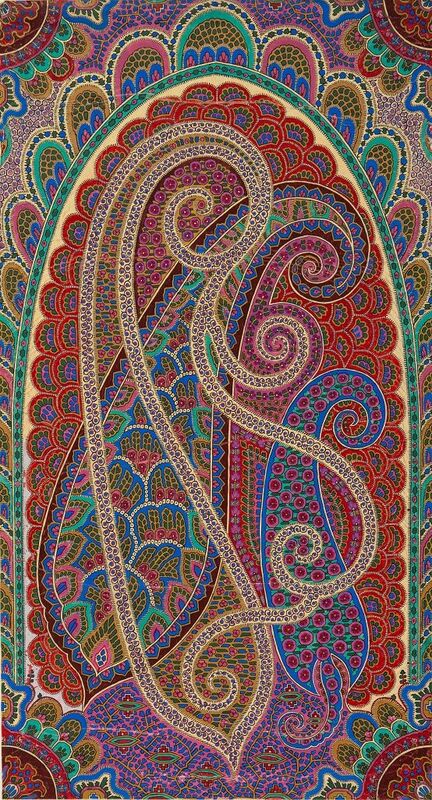 Designs on paper for Paisley shawls. Calculations and text handwritten on reverse. Measurements – 472mm x 397mm x 63mm. 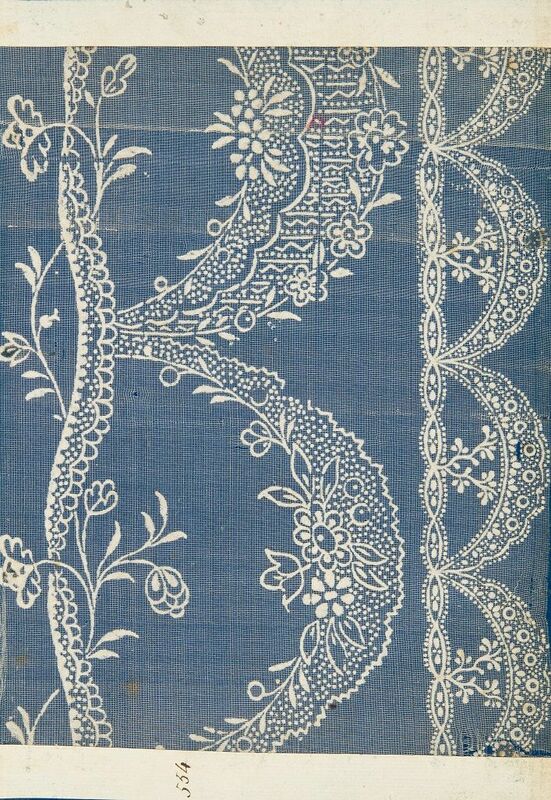 By 1834, shawls with a value of over one million pounds were being produced in Paisley. They became even more fashionable in 1842 when the young Queen Victoria is said to have purchased 17 of them! 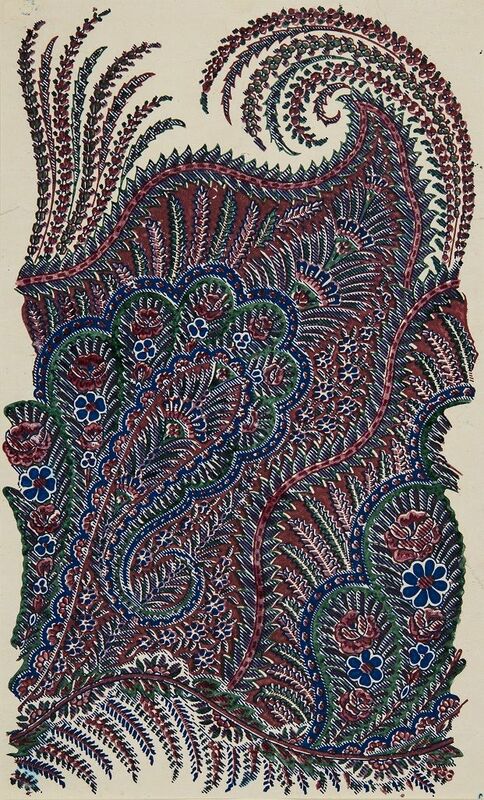 By the 1860s, trade peaked with over 71 shawl manufacturers operating in the town and making, the colourful, fashionable ‘Paisley’ shawl affordable and accessible across the world. 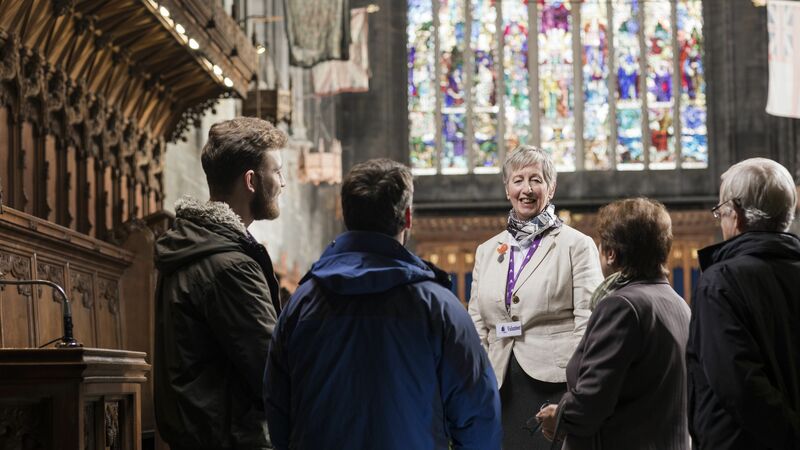 In 2017, an expert panel convened for the Year of History, Heritage and Archaeology named Paisley shawls as one of 25 objects that shaped Scotland’s history. 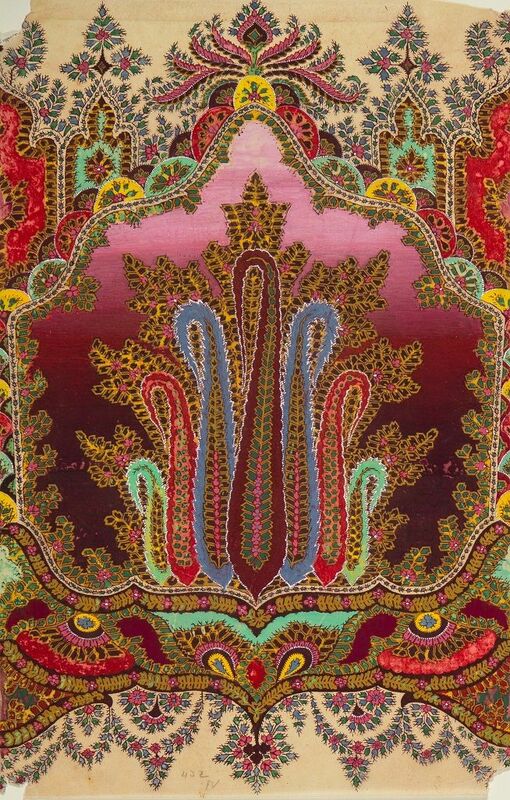 Paisley Museum and Art Galleries has the largest collection of Paisley shawls in the world. 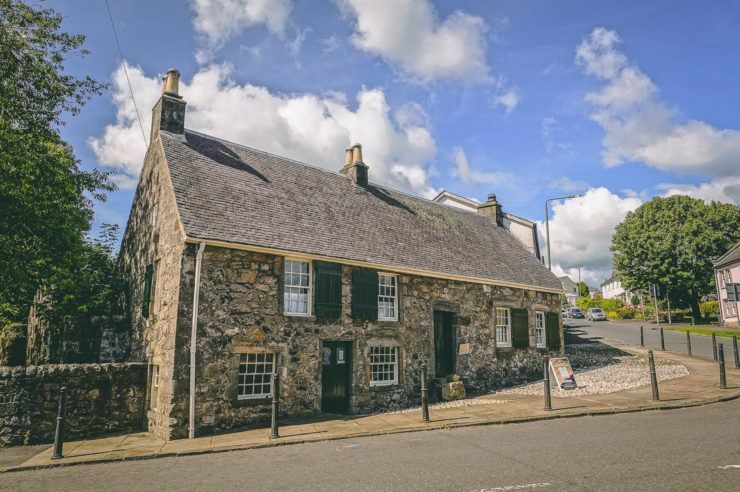 It is certified as a Recognised Collection of National Significance to Scotland. 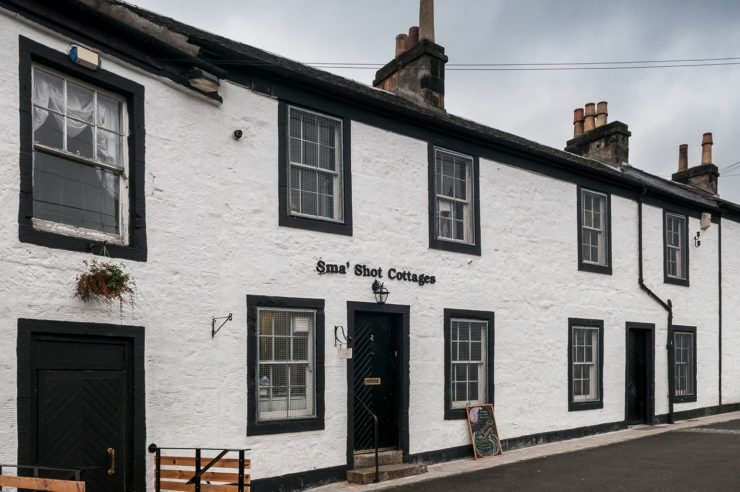 You can learn more about the production processes and materials used over the years at the nearby Sma’ Shot Cottages.